Copyholders There are 4 products. 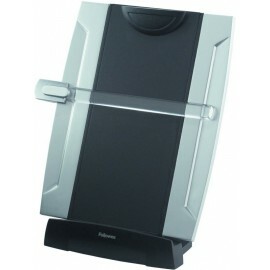 Copying and referencing from secondary sources is made easy with the Fellowes Desktop Copyholder. 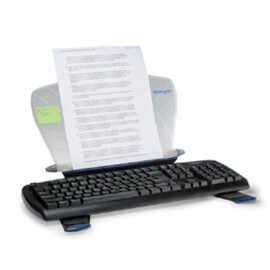 With built in arms to support computer forms and an adjustable clip holding up to 15 sheets of A4/Foolscap paper, this document holder is the ideal solution for all your desktop referencing needs. 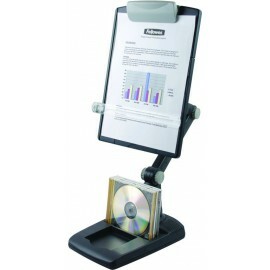 This Fellowes Desktop Copyholder places reference and copy document at eye level while the face plate tilts up or down by 45 degrees to prevent neck strain associated with extended desk work. 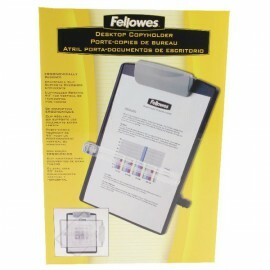 For document copying and referencing around your VDU or typewriter, this Fellowes Weighted-base Copyholder helps keep your A4 sheets securely within view. The faceplate can be converted from portrait to landscape to allow for comfortable viewing of numerous types of copy.